Hamad Medical Corporation (HMC) is the main provider of secondary and tertiary healthcare in Qatar and one of the leading hospital providers in the Middle East. For more than four decades, HMC has been dedicated to delivering the safest, most effective and compassionate care to all its patients. HMC manages 12 hospitals – nine specialist hospitals and three community hospitals – as well as the National Ambulance Service and home and residential care services. In January 2016, HMC achieved the significant distinction of becoming the first healthcare system across the globe to have all its hospitals accredited by Joint Commission International under the Academic Medical Center accreditation program. Additionally, the National Ambulance Service, Home Healthcare Service, Stroke Service and Palliative Care, have all received this prestigious accreditation since 2011. To meet the needs of a rapidly growing population, HMC has announced ambitious plans to expand capacity across its network through to 2030. 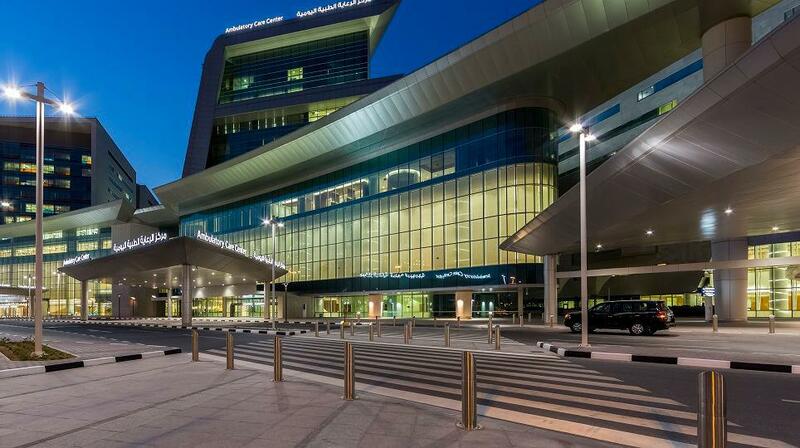 This expansion plan includes the three newly opened hospitals in Hamad Bin Khalifa Medical City comprising Qatar Rehabilitation Institute, Ambulatory Care Center and Women’s Wellness and Research Center. Also, a series of facilities, including Hazm Mebaireek General Hospital (HMGH) in the Industrial Area of Doha and the Simulation Center for Professional Education located within Hamad bin Khalifa Medical City, are nearing completion. Finishing touches are also being made to Hamad General Hospital’s new Trauma and Emergency Department which is scheduled to open in 2019. The new and enhanced facilities and network of services will support and reinforce HMC’s ongoing efforts to provide the safest, most effective and compassionate care to each and every one of our patients, both now and in the future. HMC is leading the development of the region’s first academic health system – combining innovative research, top-class education and excellent clinical care – and is committed to building a legacy of healthcare expertise in Qatar. HMC collaborates with key partners who are experts in Qatar and beyond, including Weill Cornell Medicine-Qatar, the Institute for Healthcare Improvement and Partners Healthcare, Boston. HMC is also the first hospital system in the Middle East to achieve institutional accreditation from the ACGME International LLC, which demonstrates excellence in the way medical graduates are trained through residency, internship and fellowship programs. ​Rumailah Hospital is a multi-specialty hospital that provides medical, surgical and long-term care to the population of Qatar. It is part of Hamad Medical Corporation (HMC) and provides a warm, welcoming and healing environment, focused on safe, high-quality patient-centered care. Rumailah Hospital's staff are focused on providing education to support the ambition of HMC to become an academic health system; a world-leading center of excellence in clinical care, medical education and research that transforms into significant clinical advancements and outcomes. The hospital operates across seven different sites, with 605 beds and a multi-national workforce of 2,848 employees. Most of Rumailah Hospital's services are provided from the original main hospital site, such as dermatology, ophthalmology, plastic surgery and care for the elderly. Rumailah Hospital has successfully achieved Joint Commission International (JCI) Triennial Hospital Reaccreditation as well as JCI accreditation for Long Term Care Standards and is the first hospital in the GCC to be granted this prestigious status. Please visit our website for more information.